Meg's Food! 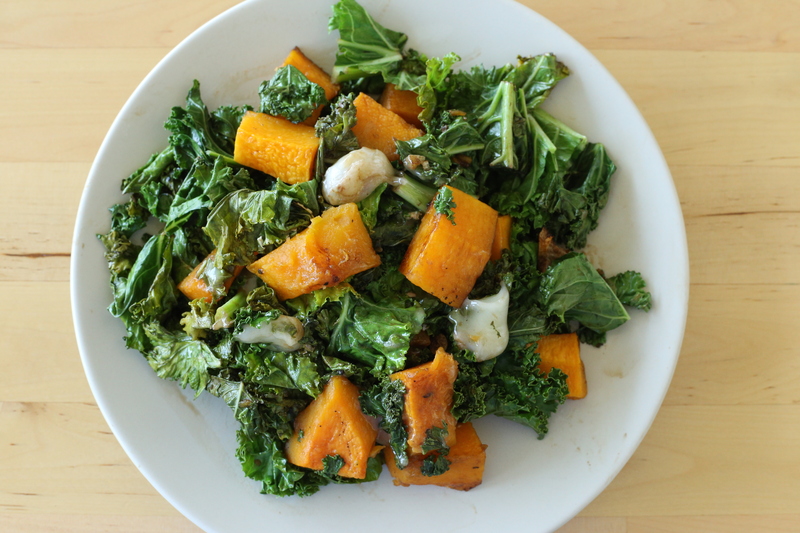 | Warm Kale Salad - Meg's Food! This salad is pretty dreamy. 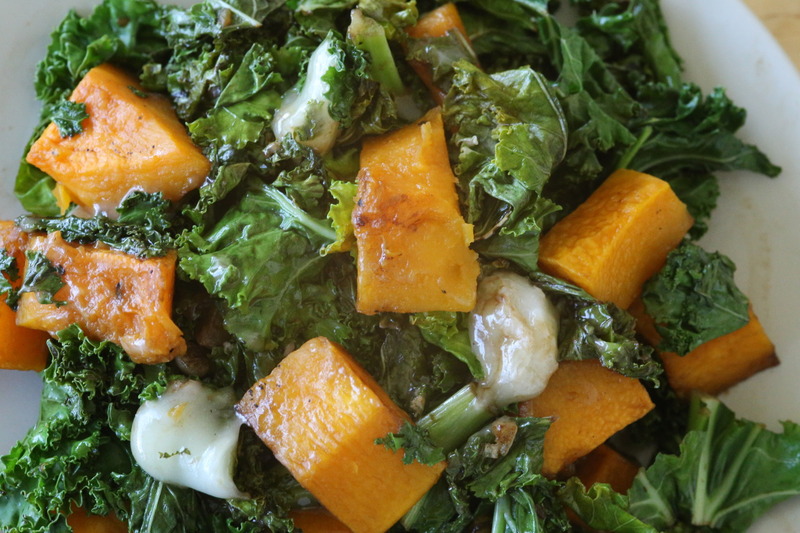 It’s inspired by a warm kale salad I had a few months ago, and I’ve been eagerly waiting for squash season to start so that I could try out a version myself. It starts with our favourite green, kale. Kale is pretty harsh in its raw form, but when you sautee it, it gets tender and delicious, without getting mushy or slimy. The perfect green to serve warm. 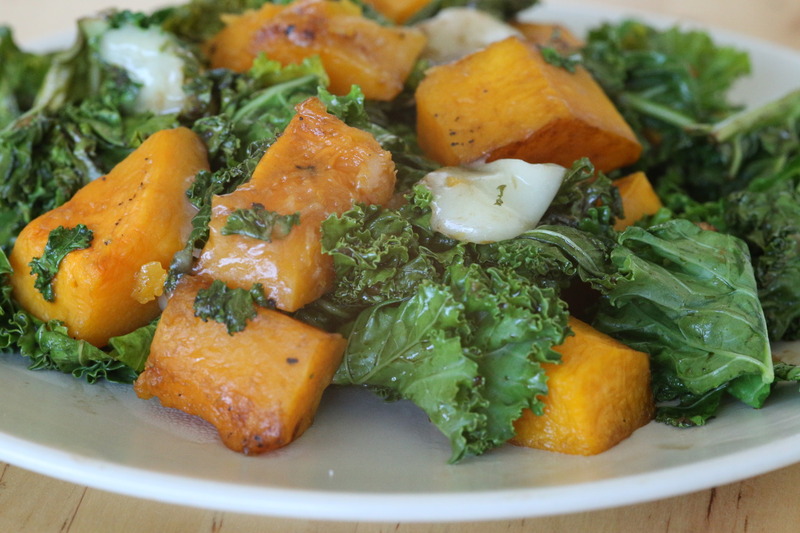 Your sauteed kale is tossed with roasted butternut squash, a fall favourite. I love how versatile butternut squash is, and in this recipe, I keep it simple to let its sweet flavour shine. Then you throw in cheese, and let it get alllll melty up in there. I used a soft sheep’s milk cheese, because it melts a little bit from the heat of the kale and squash without getting completely liquid on you. Borgonzola, havarti, and jack cheeses would also be lovely in this. I toss it all in balsamic and throw in a pinch of sugar, giving the salad a tangy, sweet dressing that complements that lovely squash perfectly. Toss squash cubes in olive oil and season with salt and pepper. Roast the squash cubes until soft and golden, about 20-25 minutes, tossing halfway through. Meanwhile heat a splash of olive oil in a large skillet over medium heat. Add kale and cook, stirring, until kale starts to wilt. Throw in cooked squash and cubed cheese. Toss, and drizzle with balsamic vinegar. Sprinkle with sugar and season with salt and pepper. Continue cooking until cheese just starts to melt. 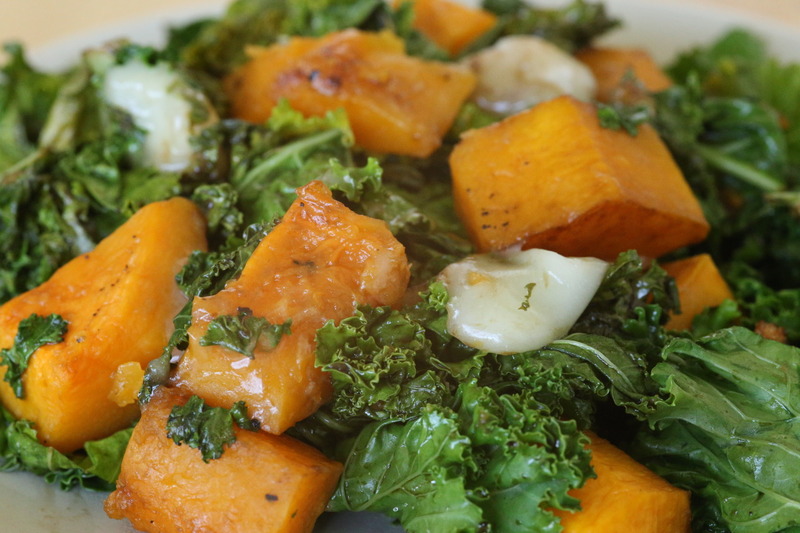 This warm salad will definitely fill you up and get you in the mood for fall. Bring on squash season! This entry was posted in Dinner, Lunch, Recipes, Salad and tagged cheese, fall, kale, salad, squash. Bookmark the permalink.